A plateful of veggies means variety for your palate. Your mom is likely no longer around to regularly remind you to eat your veggies or leave you at the dinner table until you finish those Brussels sprouts. Now it’s up to you to make sure you’re getting in a healthy dose of what Mother Nature has to offer. Dietary recommendations are five servings of vegetables per day. If you’re not getting enough in, here are eight ways that you can eat more. Stock Up: The no-brainer is that you can’t eat vegetables you don’t have. On your next trip to the grocery store, stock up in the produce section. Look for veggies that make great snacks, such as baby carrots, bell peppers, and celery, as well as those that you can use in or with your meals. If there’s a vegetable you’ve never tried, be a little daring and go for it. You might be inspired to cook a new recipe and find your next favorite thing to eat. Ready to Eat: When hunger strikes, go-to, ready-to-eat snacks are often the first thing up for grabs. Give your vegetable a go-to makeover, but slicing and pre-portioning them in baggies or food containers. They make great munchies that you can nibble on guilt-free. Boost Your Breakfast: Instead of plain eggs for breakfast, add spinach, mushrooms, bell peppers and onions to make an awesome omelette. If you keep these item pre-chopped, cooking time won’t take much long than the over-easy duo your’re used to. If you’re short on time in the morning, spend some Sunday time baking eggs, broccoli, and shredded cheese in muffin tins. These are easy to reheat and eat on-the-go. Go green with a healthier smoothie. Be Smooth: If bananas, berries, and yogurt make up your regular smoothie recipe, toss in a handful of spinach for veggies you can’t even taste. The green color might take some getting used to, but the flavor will still be bright and fruity-licious. Supersize Your Salad: Whether you’re having a salad as a side, a snack, or a main meal, look for ways to add more veggies. If your standard fare is greens, carrots, peppers, and broccoli, give it a boost with cauliflower, radishes, celery, and avocado. Not only will you be getting more vegetable benefits, such as fiber and nutrients but also be packing in tons of flavor. Swap Your Sides: Instead of grain-based side dishes, such as pasta and rice, switch to a veggie-based option. Grilled asparagus, roasted root vegetables, and lightly dressed pile of greens will help fill you up without packing on fat. If pasta is the base of a meal, such as spaghetti, use a veggie peeler to turn zucchini into the perfect pasta replacement. Stack It Up: If the only produce on your sandwich and burger is a limp piece of lettuce, you’ve got room to grow. Use mashed avocado as a spread instead of mayo, and pile on cucumbers, bibb lettuce, red onions, and tomatoes. You can even skip the bread and load up a lettuce wrap with meat and veggies instead. Treat Yourself: Veggies don’t have to be savory. Look for recipes that sneak veggies into the sweet stuff. 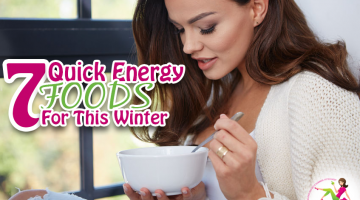 With black bean brownies, carrot cakes, chocolate avocado puddings, and sweet potato cheesecakes, you won’t even know you’re eating something good for you. If dinner is one of the only times you’re getting in a full dose of vegetables, it’s time to makeover your meals. Look for opportunities all-day long, and you’ll like feel more full, and do so with less fat. Share your favorite veggie recipe with us! 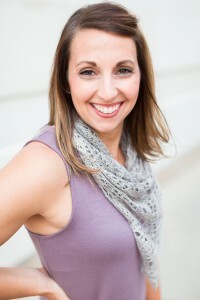 Carrie Anton is a freelance writer focusing on health, fitness, and sports. She's been published in Self, Women's Health, Oxygen, and Maximum Fitness. 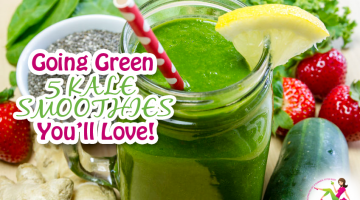 Going Green: 5 Kale Smoothies You’ll Love!